IHG® Rewards Club - Músicas - Hadley Caliman - The Catalyst Years. Hadley Caliman. "Projecting" & "Celebration"
The Catalyst Years. Hadley Caliman. 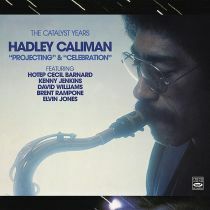 "Projecting" & "Celebration"